Find TREASURES to Sell on eBay! Many of people hunt yard and garage sales, and then sell their finds on Ebay. Save valuable time spent combing through sales and instead, quickly find those that have exactly what you want. Make shopping yard, garage, moving and estate sales much more efficient. Make more money in less time! Contact sellers directly, even before the sale (if they allowed their contact information to be posted). If they didn’t include a phone number, then send them an email, this site enables sellers to post their email or use an internal anonymous email. At the very least, you will still know which sales offer you the most opportunity! Get those great buys! Rare Comic Drawings Found in Garage Sale! Do you find your shopping experience to be more pleasurable when shopping in a high-end store like Nordstrom’s where their shelves, racks, and other sales items are impeccably maintained, than in a poorly-run lower-end store? This is not to say that some of the lower-end stores are NOT kept well – many are. 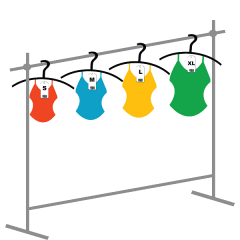 The point, rather, is to show how when your shopping experience is easy and pleasant, you will tend to stay longer and make more purchases. Leah French, from About.com, in her article 10 Ways to Display Vintage Jewelry shares her expertise on how to present and display vintage jewelry at a yard/garage/estate sale in the best way to get more sales. Read more about her suggestions here. 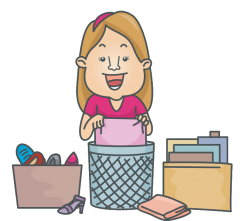 Looking for ways to clean up your “mess” around your house? Wouldn’t it be nice if you could make money at the same time? Well you can by selling your “junk” to others who see it as a “treasure”. For some really helpful tips, visit 20 Tips For Yard Sale Success. This affiliate program is perfect for Home and Garden, DYI, or Bargain Hunting blogs or websites. Yardsales.com Go Premium is a low-cost, high benefit service that notifies premium members of yard sales and garage sales in their area. These alerts are available on any mobile device and by email. Become part of our team today and earn great commissions on our products. Go to Yardsales.com Go Premium Affiliate Program and start earning today! How About a Few Cents a Day? Hundreds of thousands of people in the US and Canada rely on items found at yard/garage/estate sales. Who? How Do They Find Out About Sales? Many sites, including Yardsales.com, allow people to search for sales for free. That sounds easy enough, right? Let’s say these people who RELY on items found at yard and garage sales, set aside a time or a few times each week to find the sales. Now this might work out for the first week or two but let’s face it. LIFE gets in the way of our best intentions! 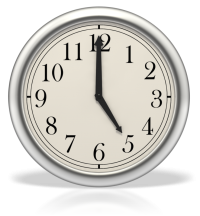 Most people are already over-extended on their time commitments and struggle daily to get their chosen or imposed tasks of the day – done! Bottom line? They won’t get that sit-down time to make their searches and find the sales! This is really not a matter of paying for something you can get for free – or not – but rather it is a matter of what YOUR time is worth to you! Is it worth $39/YEAR? That is only a few pennies a day. TIME is our most precious commodity and what we ALL need a lot more of! If you want to assure that you get there FIRST and be able to purchase what you need/want before someone else does, be kind to yourself and treat yourself to a time-saver! Get your YardSales.com Premium Alerts today! YOU are worth it! Meet Herbie. He has heard that yard and garage sales are a great place to find hidden treasures. Follow Herbie on his adventures and see what he learns along the way. 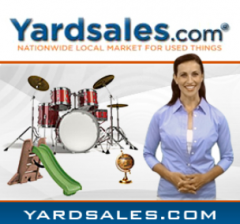 Yardsales.com is the premiere online yard sale finder in North America. Sellers having a yard sale, garage sale, tag sale, or estate sale use it to help them promote their sales. Buyers search the site to find exactly the sales they want, with the items they want, where and when they want it. One of the most challenging jobs in real estate is securing your first few clients. According to the National Association of Realtors, 86 percent of new real estate agents don’t make it past their first year so it is little wonder that many struggle finding leads as first time agents. But there is an untapped Real Estate Marketing Resource that will help you take your career to new heights–the For-Sale-By-Owner (FSBO) listing. This is a popular choice with homeowners believing it will save them money in the long run. This is generally not the case but finding these prospective clients in order to convince them of this is the hardest part of the process. Yard Sales – the ultimate Farming Tool for Future Business is a fantastic and mostly untapped way of finding prospects and leads. Yard sales, often called garage sales and estate sales are not just a great place to find that perfect antique or a great little bargain for the living room at home. Yard sales are actually opportunities, especially if you are in the real estate game and you have your wits about you. But Why Yard Sales and Garage Sales? They are just selling some old stuff from the garage! Yard sales often happen for a reason beyond just selling stuff. Sometimes there are reasons why they are clearing space or getting rid of things. Often they will have a garage sale just before they plan on moving. Make your move! It is also a great way to get even more contacts as lots of people including the resident, neighbors and friends usually show up. An executive real estate agent who used this technique extensively was quoted as saying this. To summarize, although it is important as a real estate agent to ask the right questions and have that gift that is required for a successful sales person, more important to all of this is the ability to be in the right place in order to ask those questions. Check out your local listings and even get alerts when there is a yard sale in your territory and own the real estate in your territory once and for all. Want to find out more about the power of Yard Sale prospecting and using them to generate leads? Learn more at Yardsales.com and Get the jump on your next lead with Yard Sale Alerts and never miss that opportunity again.